With a Yamaha F70, EdgeWater’s 158CC gets 6.5 mpg at 21 mph. 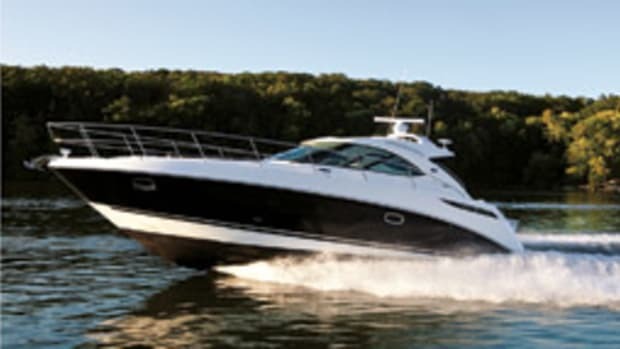 That’s nothing short of miserly fuel consumption for a 15-footer that should excel at towing kids on wakeboards and tubes. “The problem before was the 90 [Yamaha] was too heavy,” EdgeWater president Peter Truslow says. 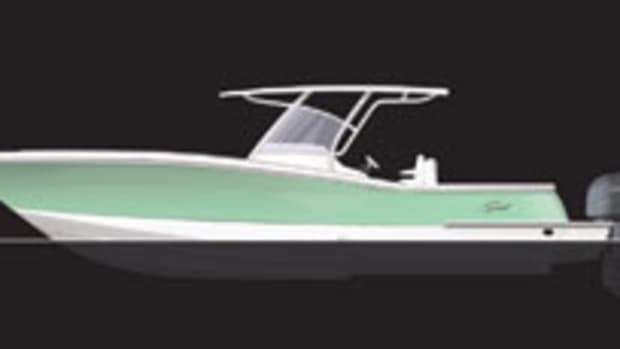 “With the 70, the boat is balanced perfectly.” The F70 weighs 257 pounds, the F90 369 pounds. 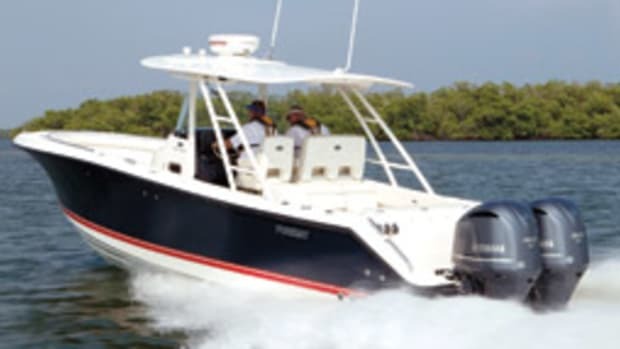 The 158CC, which rides a modified-vee hull with an 18-degree deadrise, is actually a variation of a boat EdgeWater offered several years ago, Truslow says. 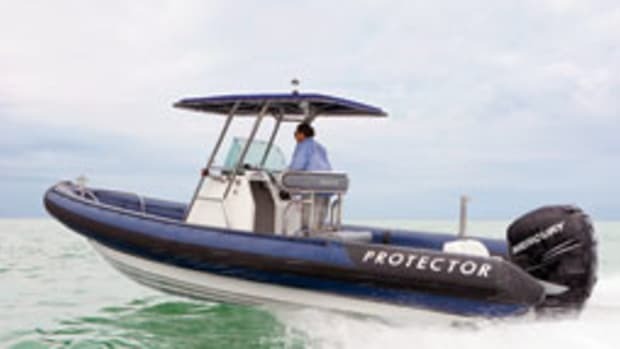 “Strictly speaking, it’s not a new boat but a second-generation boat,” he says. 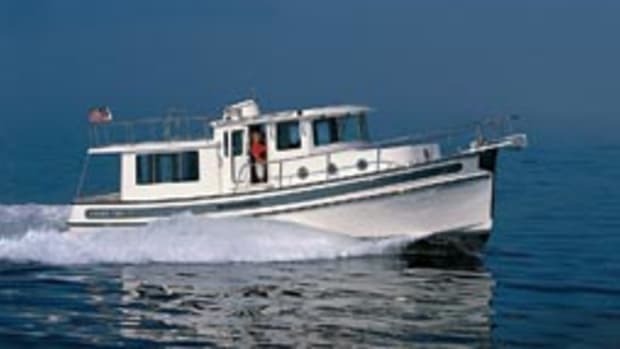 The boat was designed with some bigger-boat features, such as a self-bailing deck, a built-in fuel tank (18 gallons), a swim platform with a ladder, a two-person helm seat and a good amount of space for flush- and fixed-mount electronics. I got a chance to play around with the 158CC at a Yamaha Marine press event, and it’s peppy and fun to drive. There is a well-positioned handrail on the console’s starboard side, and two handrails sandwich the two-person, forward-facing seat on the console’s forward side. Another safety plus: toekick space around the entire console. Side rails add to on-deck security. 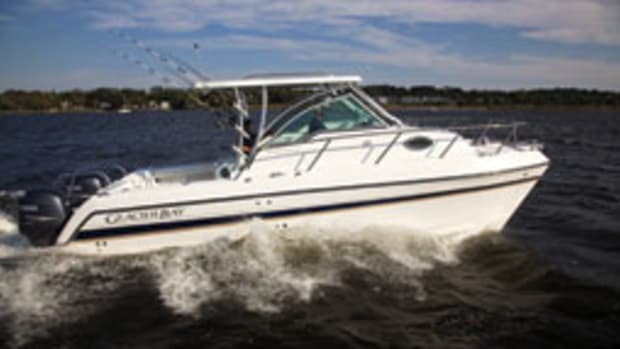 Standard equipment includes no-feedback steering and four 8-inch stainless steel cleats. 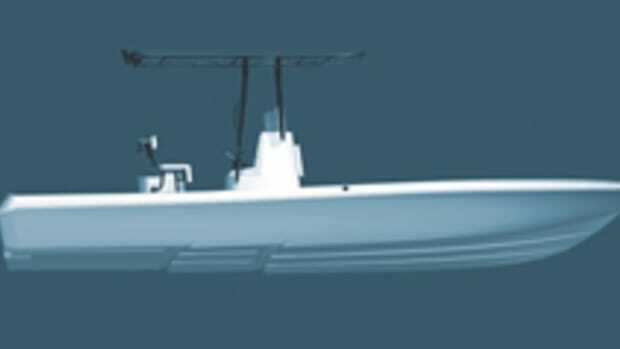 The swim platform/ladder, a console bait well, twin transom seats with backrests, a bow cushion, a sun top and hydraulic steering are optional. Retail price is $26,754 with the F70 and standard equipment. 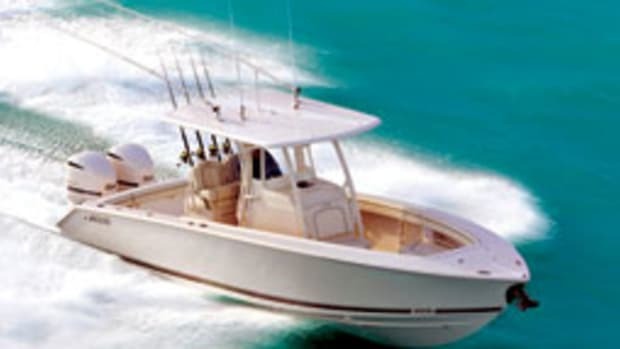 Click here to find more EdgeWater Boats.